Kieran Foran knows 2019 is "everything" in his career, but he's confident his fitness and being settled off the field will allow him to perform. Canterbury playmaker Kieran Foran knows 2019 is one of the biggest seasons of his NRL career but insists he's not felt in better shape for at least three years. Once one of the game's biggest stars, Foran guided Manly to six finals series in his first half-dozen years in the NRL - including two grand finals and a premiership. However, since leaving the Sea Eagles for Parramatta in 2016 he's endured a wretched run that's included limited time on the field due to injuries in one-season stints at the Eels and Warriors as well as the Bulldogs last year. There have also been high-profile off-field headlines that have dogged the Kiwi five-eighth. But after having surgery on his wrist and toe last season, Foran is ready to attack the new NRL campaign head on..
"It's everything. 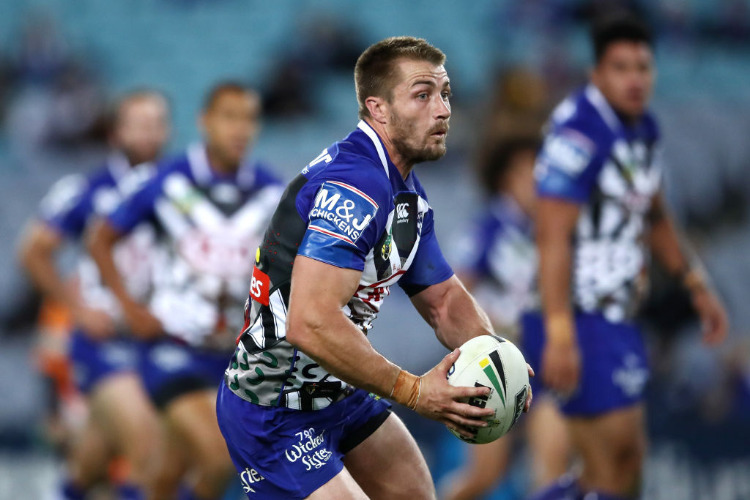 It's a big year for me, there's no escaping that," Foran said. "I've had a challenging last three years on and off the field. This is the first year in a few years that I've been able to have a full pre-season and I'm settled away from the field. "I'm doing everything I can in my power to get back and play the best footy I'm able to play. I know I've got it in me and I'm capable of doing it. "This presents an opportunity. When those tough times happen you have to find a way to pick yourself up and work out what you've got to do to get better." Foran has found peace away from the field in an off-season marriage while at training he's missed only one week of preparations due to a minor hamstring strain. That's crucial for two reasons: Firstly, because his game relies so much on physicality in taking on the defensive line and secondly because his body has barely let him train week-on-week since leaving Manly. "It's frustrating. I'm my harshest critic and I know when I'm not performing to my ability and doing what I need to do for the side. I wasn't doing that last season," he said. "I haven't been able to train a lot the last few years. My body just hasn't allowed me to. That's probably caused me to physically not be ready when I'm out on the field. "When you're not training during the week you're not able to build those combinations. That's massive as a half. "You're almost hoping come game day that you can produce that style of football you want to."